#BrickPony,LEGO Mustang, is a life-size replica of the “1964½” V8 coupe made of 194,900 standard LEGO® and DUPLO® bricks. She debuted at the 40th anniversary celebration of Mustang Club of America at at Indianapolis Motor Speedway. #BrickPony, a LEGO Mustang, attended Florida Blog Con, FLBlogCon, at Full Sail University, located in Winter Park, Florida, prior to settling at her new home at the LEOGLAND Florida resort. 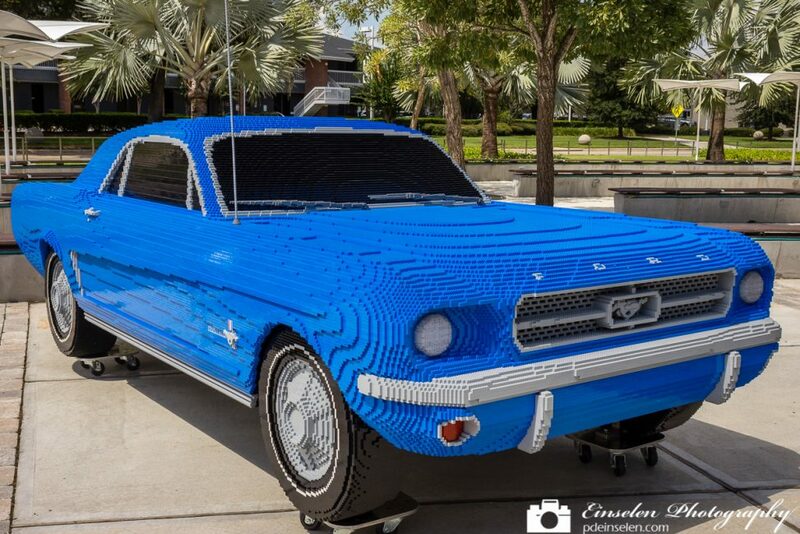 #BrickPony,LEGO Mustang, will be on permanent display this fall outside the Ford Driving School attraction at LEGOLAND Florida Resort, sponsored by Southern Ford Dealers. #BrickPony is designed and built by a veteran team of Master Model Builders at the LEGO Group’s U.S. Headquarters in Enfield, Connecticut.